The acquisition was made with the support of New Zealand banks and internal cash resources of Swiss-Belhotel International. “This is a strategic move and strengthens the asset position of Swiss-Belhotel International,” stated Gavin M. Faull. This is the first real estate investment that has been made by the International hotel management company and is an endorsement of its confidence in the tourism industry of Queenstown and New Zealand. Swiss-Belhotel International will be totally refurbishing the hotel over the next 18 months which will also include the bar and restaurants. It is expected that over NZD 1.5 million will be invested. It is the objective to present the hotel as a truly international operation as well as developing the restaurant, bar and recreational facilities in a way that the local market will use and appreciate. Swiss-Belresort Coronet Peak is well located near the Coronet Peak ski fields as well as the Shotover Jet operation. Swiss-Belresort Coronet Peak has 78 rooms and suites, the only seven lane bowling alley in Queenstown, two bars, two restaurants, and supporting facilities including gardens and recreation areas. The hotel offers great facilities for both tourists and locals and is ideal for the family traveler. Swiss-Belhotel International will continue to look for the appropriate real estate or business acquisition investments globally but in particular in New Zealand and Australia. 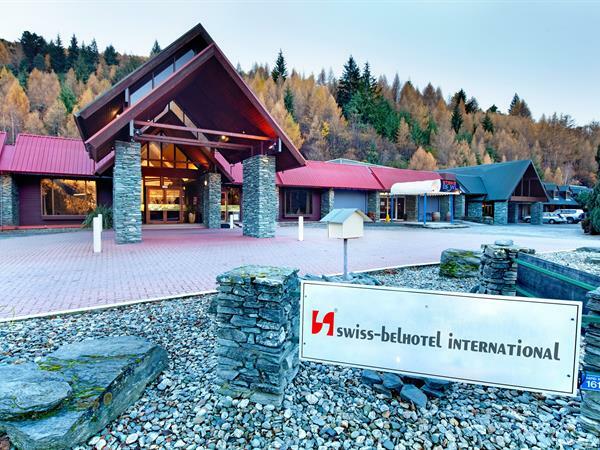 Swiss-Belhotel International is also interested in acquiring management rights.